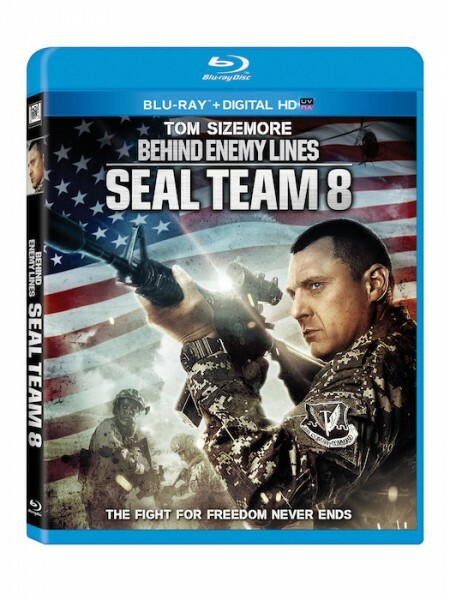 Enter to win SEAL TEAM 8: BEHIND ENEMY LINES on Blu-ray! The African Congo has never been more treacherous as Twentieth Century Fox Home Entertainment takes the Behind Enemy Lines franchise to deadly new territory in the edge-of-your-seat thriller Seal Team 8: Behind Enemy Lines, debuting on Digital HD on March 18 and on Blu-ray and DVD April 1. Tom Sizemore (Saving Private Ryan, Black Hawk Down) stars in the most explosive and action-packed Behind Enemy Lines yet! On an unsanctioned mission in Africa, a covert team of U.S. Navy SEALs is sent to locate a secret mining operation and prevent the sale of weapons-grade uranium to international terrorists. The stakes are higher than ever—and so is the body count—as Seal Team 8 must fight their way through the treacherous Congo in order to secure the uranium, expose the unknown buyer, and defuse one of the greatest threats the world has ever known! Directed by Roel Reine (12 Rounds 2: Reloaded), the Seal Team 8: Behind Enemy Lines Blu-ray and DVD are loaded with extra features including three making-of featurettes, audio commentary from Reine and more. Prebook is March 5.